The mysterious death of a scorned young woman living with a rough, lawless man in the hills of Neely County in West Tennessee sets off a series of events for those who knew her. Secrets, betrayal, and murder culminates twenty-four hours later in a shocking confession at her funeral. 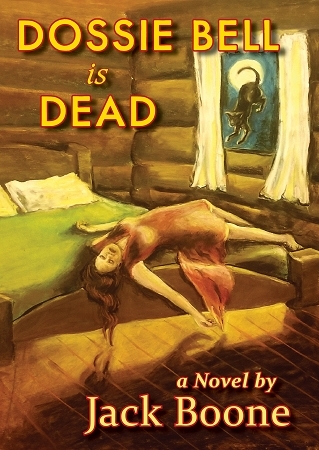 First published in 1939, Dossie Bell is Dead promised to be the first of many novels in the aspiring literary career of Jack Happel Boone. Born in Gibson County, Tennessee, in 1903, Boone grew up in the town of Henderson in Chester County during the first half of the twentieth century. His rural upbringing gave him access to local folklore, colorful stories, interesting locales, and gritty, down-to-earth characters. His friends and associates included young men like himself who yearned for adventure and spent nights fighting, drinking, and carousing. This background served him well as he began writing short stories in the 1930s such as “Big Singing,” “Dossie Bell Is Dead,” “It Sure Whips Me,” and numerous unpublished works. An unruly lifestyle that served as his inspiration hindered what could have been a successful literary and academic career. It has been more than 75 years since the first appearance of Dossie Bell Is Dead. It was a creation of its times, the hardscrabble days of the Great Depression. Its author was largely forgotten before he died in 1966 and his works—what few he published—were no longer in circulation at the time of his death. With this 80th anniversary edition, the unrealized potential of Jack Boone is introduced to a new generation of readers. Dossie Bell is still dead, but it is our hope that Boone and his works may yet receive a new breath of life, if just for a little while.